BALIF - Pride Law Fund Bowling Night October 25th! Pride Law Fund Bowling Night October 25th! 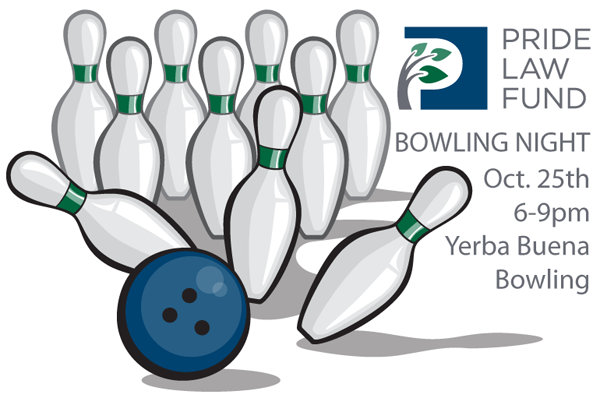 Please join Pride Law Fund for an evening of fun and bowling at Yerba Buena Bowling on October 25th starting at 6pm (bowling 6:30-8:30) Yerba Buena Bowling is located at 750 Folsom Street, between 3rd & 4th streets in San Francisco.